HUDSON VALLEY — What do we want: Summer! When do we want it: Now! Plan your weekend accordingly. 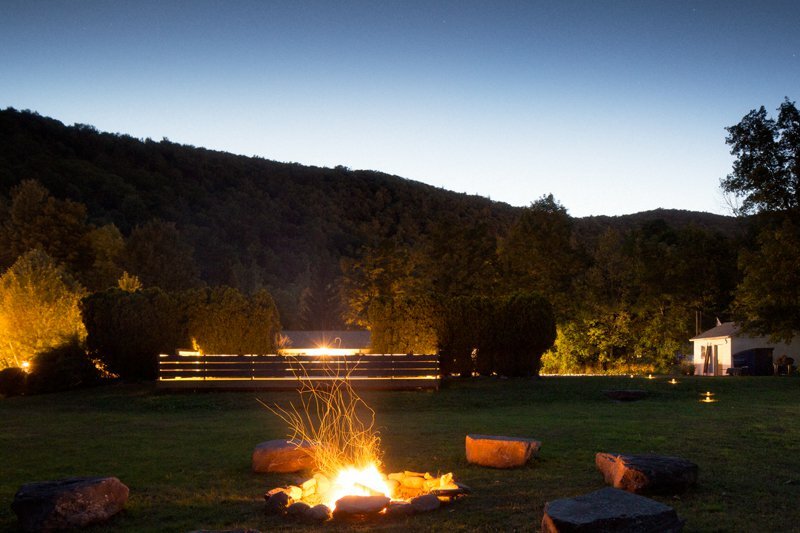 This picturesque new lodge has all the trappings of an upstate dreamscape: handmade wood furniture, a spring-fed swimming pool, bonfires and beers at night. The New York Trailways bus drops you off right down the street. You can’t call it a country weekend without a trip to the farm for locally grown strawberries, cherries, raspberries, and corn, fresh pasta, jams, and vinegars. A stone’s throw away is , an adorable little trailer in front of Hardeman’s Orchard. Pair your afternoon coffee with Swedish pastry and Danish teak. Make room in the trunk for Scandi groceries and a modern bird house. Tubing is a big summer pastime in this little Catskills hamlet. Do like the locals do: Pick up one tube for you, and one tube for your frosty beverages. Float both down the river. The classic mom-n-pop for monster pancakes, huevos rancheros, and local yocals. 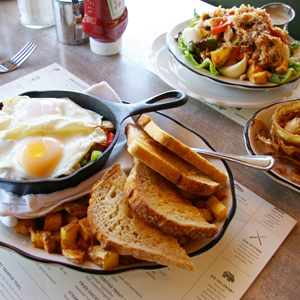 Choose from a well-appointed menu of skillets, sandwiches, and salads — with a dollop of Brooklyn on the side. Get ready for hyper-local grass-fed burgers (the owners run an angus farm), homemade sodas, and hand-cut fries. On your way back to NYC, pack a picnic and plan to ramble through this gorgeous outdoor museum. 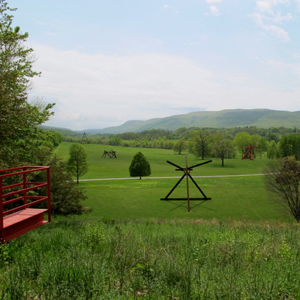 Five-hundred acres of landscaped hills and quiet woods lead to huge clearings with larger-than-life-size installations from sculptural giants like Alexander Calder, Richard Serra, and Maya Lin. 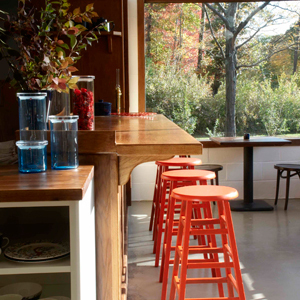 Inset photos (from top left): Poul Ober for Graham & Co.; courtesy of Scandinavian Grace; courtesy of Phoenicia Diner; photo of Storm King by Jeralyn Gerba.